Born in West Germany, John Wegner came to Australia at an early age. He is a graduate of the Victorian College of the Arts. 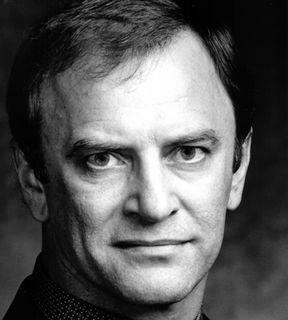 From 1981-1992 he was a resident principal artist with Opera Australia, where he performed many leading roles including Escamillo (Carmen), Baron Ochs (Der Rosenkavalier) and Boris Godunov. In 1992 he took up a resident artist's contract in Karlsruhe making his debut as Jokanaan (Salome) also adding roles including Wotan/Wanderer (Ring Cycle) Prince Igor and Iago (Otello) to his repertoire. He returns regularly to Australia as a guest artist with Opera Australia and the state companies. Roles include Scarpia (Tosca), Escamillo, Der fliegende Holländer (Green Room Awards 1997 and 2005), Falstaff and Telramund (Lohengrin). In 1998 he performed Wotan/Wanderer for State Opera of South Australia winning the 1999 'Opera Performer of the Year' MO Award and in SOSA’s 2004 Ring cycle his performances of Alberich won him a Helpmann Award. Much in demand throughout Europe his impressive credits include six seasons at Bayreuth - debuting under the baton of James Levine and most recently as Klingsor (Parsifal). He performs regularly in houses including Bern, Royal Danish Opera, La Monnaie, Prague, Leipzig, Komische Oper, La Scala Milan, Stuttgart and for English National Opera. John Wegner has been a member of Deutsche Oper am Rhein since 2000. He has performed many major roles with this company including Wotan/Wanderer, Prus (The Makropulos Affair), Jochanaan, Escamillo, Scarpia, Boris Godunov and Der fliegende Holländer. 2007 opera engagements included Richard III in the world premiere of Giorgio Battistelli’s opera for Deutsche Oper am Rhein, Pizarro, and Holländer – also for the Deutsche Oper – Adorno/Capitano (Die Gezeichneten) in Amsterdam and his role debut as the Villians (Les Contes d’Hoffmann) for Opera Australia. 2008 engagements included Jochanaan in Tokyo, Prus and Scarpia in Düsseldorf, Pizarro in Strasbourg, Klingsor in Munich, his debut at the Vienna Staatsoper in the role of Telramund – a role he also performed in Leipzig, his role debut as Claggart (Billy Budd) for Opera Australia and performances of Holländer for the Melbourne Symphony under Oleg Caetani. 2009/2010 engagements include Pizarro at the Vienna Staatsoper, Scarpia, Prus, Holländer and Klingsor in Düsseldorf, Escamillo in Japan, Boris in Lady Macbeth of Mtsensk, Rossini’s Stabat Mater, Scarpia and Jack Rance (Fanciulla del West) for OA, Jack Rance and Holländer for SOSA and Wotan’s Farewell for the MSO. He debuts at London’s Royal Opera House and in Barcelona in the 2010/2011 season. Concert engagements include the Sigulada Opera Festival, Samson and Dalilah in Sao Paolo, Wotan (Die Walküre) with the Sydney Symphony Orchestra under Edo de Waart, Jonah (Jonah’s Mission) with the Melbourne Symphony Orchestra and in Cologne, and Beethoven's Ninth Symphony at the Beethoven Halle in Bonn, with Köln Philharmonie and with the Adelaide Symphony Orchestra. Awards include a Churchill Scholarship, the Bayreuth Scholarship, two Helpmann Awards, two Green Room Awards and Komercni Banka award for Best Performance of the 2007 Season at the National Theatre, Prague. John Wegner’s recordings include Alberich/The Ring (Melba Recordings).